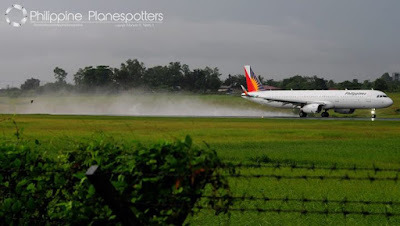 Aviation Updates Philippines - Star Alliance, a global airline organization, told reporters on Monday that the alliance is not eager on adding a new member especially if it overlaps with other airlines' routes. “I would not say that we see Philippine Airlines (PAL) as a prospective new member,” Star Alliance Chief Operating Officer, Jeffrey Goh told reporters in a press briefing in Makati. Goh said that if they will add a new member, it should bring more frequent fliers and should expand its network. According to him, Philippine Airlines is currently overlapping with some of Star Alliance's routes. “Our members are constantly looking at ways to expand the network whenever that is possible,” he said. “Of course, Manila isn’t the center of the earth in a way, that there has to be a very strong proposition for our members to operate in Manila.” He also said that in the Philippines, the opportunity is in the budget carrier sector. Each airline member maintains its own individual style and cultural identity, bringing the richness of diversity and multiculturalism to the alliance. At the same time each airline shares a common dedication to the highest standards of safety and customer service, according to its website.